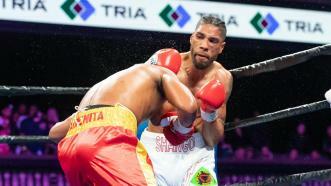 Minneapolis-native Jamal James scored a crowd-pleasing technical knockout win over Janer Gonzalez. 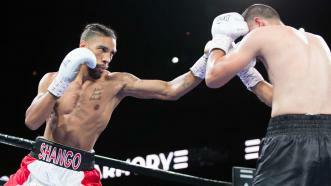 Jamal James battled Janer Gonzalez in a scheduled 10-round welterweight bout at The Armory in Minneapolis, Minnesota, on February 23, 2019. This fight was broadcast live on FS1 as part of the Premier Boxing Champions series. James won the fight via TKO victory after Gonzalez was unable to begin the 7th round. 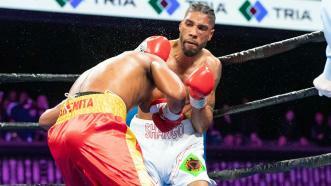 Welterweight contender Jamal James (24-1, 11 KOs) gave his hometown crowd a treat as he sent Mahonry Montes (35-8-1, 24 KOs) to the canvas for a second round knockout. 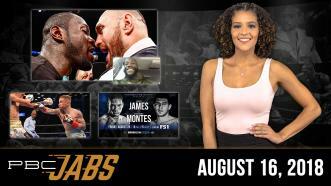 This week on PBC Jabs, we recap our August 24th FS1 show. Plus, heavyweight prospect Efe Ajagba checks in following his recent unconventional victory. 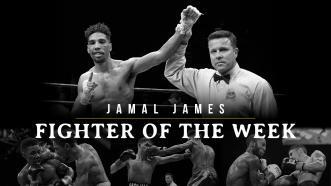 FIGHTER OF THE WEEK: Welterweight contender Jamal James returns to the ring tonight in his hometown of Minneapolis, MN when he faces Mexican veteran Mahonry Montes in the main event of #PBConFS1 at 8 p.m. ET/5 p.m. PT. 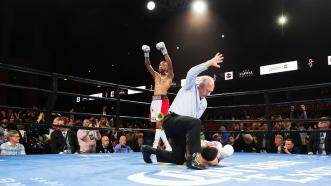 James adds another hometown victory to his belt by way of second round KO, improving his record to 24-1, 10 KO’s. 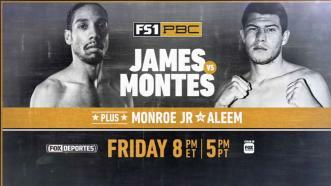 Welterweight contender Jamal James returns once again to his hometown of Minneapolis to challenge Mexico's Mahonry Montes in the main event of an FS1-televised card. This week on PBC Jabs, former featherweight champ Carl Frampton returns to the ring this Saturday, WBC heavyweight champion Deontay Wilder checks in before he heads over to Belfast, Northern Ireland for some ringside commentating and we preview our August 24th FS1 show.